By now, you’ve heard the word ‘probiotic’ thrown around in magazines, on health and fitness specials, and even in yogurt commercials. Despite all the claims touting probiotics as medical miracles, though, few of these businesses explain what probiotics are, which makes them easy to dismiss. But probiotic foods are not just another diet trend or weight loss scam. 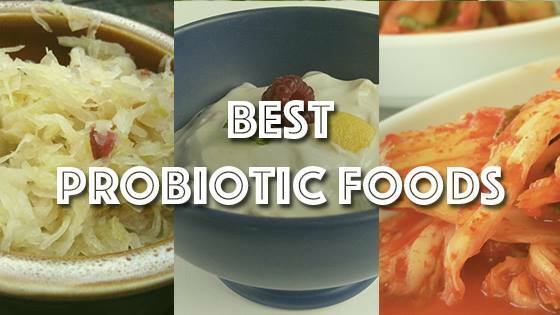 Probiotic foods are, simply put, foods that encourage the growth of healthy bacteria within your gut. The active cultures found in these healthy, friendly bacteria are the key to balancing out the little biosphere inside of our bodies, which for so many of us has been devastated by processed foods, sugar, alcohol, and prescription drugs. By providing the body with foods that will support these healthy bacteria, we can dramatically alter the flora inside our gut. A gut full of flourishing healthy bacteria can work wonders for your health. 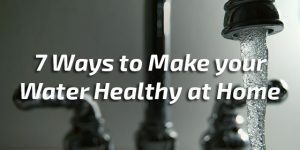 First and foremost, probiotics alleviate (and sometimes even cure) a wide range of digestive issues– those prone to gas, indigestion and bloating often experience relief when they incorporate probiotics into their diet. 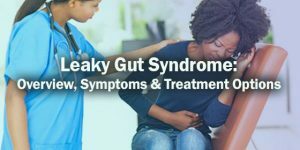 Even those with Irritable Bowel Syndrome have seen improvements in their symptoms when they supplement with foods that encourage the growth of healthy bacteria. Some studies have even shown that healthy gut bacteria can reduce the occurrence of UTIs, yeast infections, and obesity. One study showed that those who classified as obese had lower levels of healthy bacteria in the gut than those who registered at a healthy weight. Kefir is a great source of potent probiotics, but it also offers a plethora of other health benefits. This fermented, milk-based food tastes a lot like yogurt. Like most dairy products, it is high in vital nutrients, like Vitamin D, Vitamin B12, and calcium. 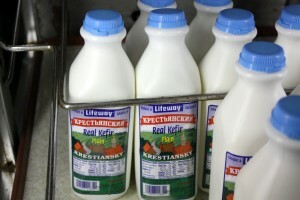 A single, six-ounce serving of kefir also boasts six grams of protein. Kimchi, which has been consumed in Korea since the fifth century, is proof that mankind has been reaping the benefits of probiotics since long before the invention of Activia. Kimchi is made by fermenting nutrient-dense raw vegetables in a puree made of fruits, spices and herbs. It is low calorie, high fiber, and contains high amounts of Vitamins C and A. This is one that most people are familiar with. Sauerkraut, which many people throw on top of not-so-healthy hot dogs, is fermented cabbage. Like kimchi, it is high in fiber, but it also contains quite a bit of iron, copper, calcium, and magnesium. 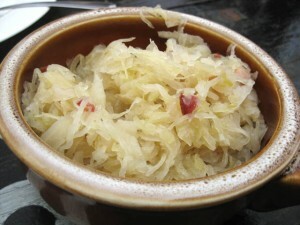 Sauerkraut boosts the immune system and lowers your risk of heart disease. 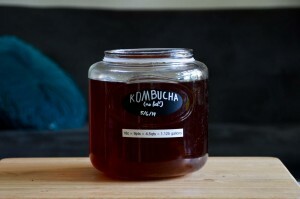 Once considered exotic, kombucha can now be found next to pressed juices in many grocery stores. This Chinese probiotic beverage is simply fermented sweet tea. It boosts digestion, fights candida, and encourages mood stability. 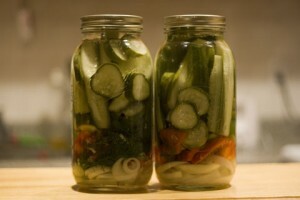 Believe it or not, the pickles you already use in sandwiches and burgers are a great way to improve gut health. 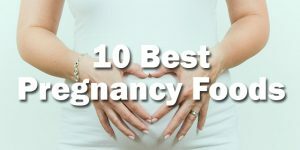 They are also one of the probiotic foods that the average American is most likely to find palatable, so they make a great start for anyone trying to ease their way into the world of probiotics. This is probably the most famous of the probiotic foods. 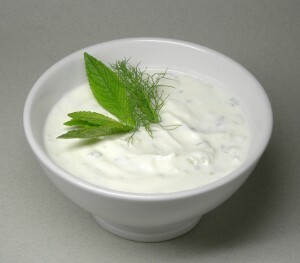 Yogurt is fermented milk, but it is important to note that not all yogurts are created equally. Look for plain yogurt with minimal additives, and sweeten it yourself with honey or fruit. If the yogurt is cake-flavored, it probably isn’t a health food. Though not quite as famous as kombucha, kvass is another fermented beverage that is worth a look if you’re hunting for probiotics. It is most commonly made by fermenting stale rye bread, and it is said to have a taste that is similar to beer– but its alcoholic content is less than one percent, so it’s considered nonalcoholic. This obscure probiotic is a Japanese dish made by fermenting soy beans. Fermentation boosts their probiotic content, but it also makes the other nutrients found in soy beans far easier to digest. It has a strong flavor, and many consider it an acquired taste. 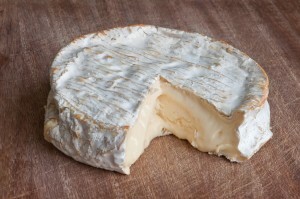 Raw cheese is made from raw milk, which is more nutritionally dense than the conventional pasteurized milk products. Pasteurization kills the healthy bacteria cultures in the milk, but by consuming raw cheese, you can enjoy both the flavor and the probiotic health benefits. Yes, bread is a probiotic food! 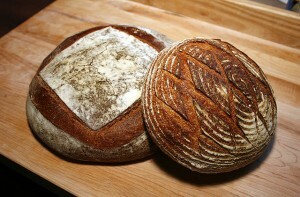 Sourdough bread is high in healthy bacteria. 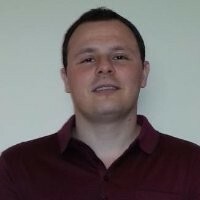 It is also low on the glycemic index, so (unlike the white bread many use for sandwiches) it will not result in blood glucose spikes. Make toast with it, or use it to make a sandwich for lunch. 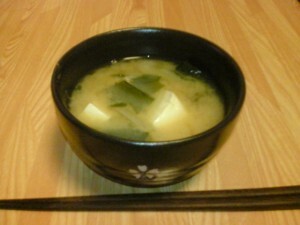 Miso is another Japanese soy-based dish– to be specific, it’s a seasoning, and it makes excellent soup. 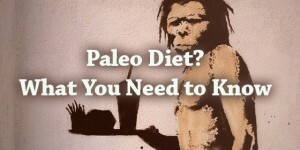 It can play a key role in any diet with healing purposes in mind. It is high in B vitamins, loaded with antioxidant, and known for its ability to boost your immune system. 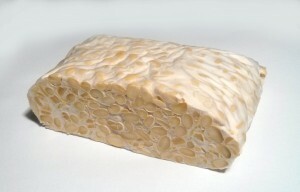 Tempeh is tofu’s healthier, heartier cousin. Made by fermenting soybeans, this meat-like food is high in protein, fiber, magnesium and calcium, and can be used in a wide variety of dishes. Substitute it for tofu or meat for a probiotic source of protein. 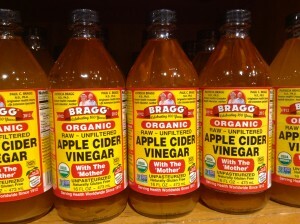 Apple cider vinegar has been utilized by healers for centuries. 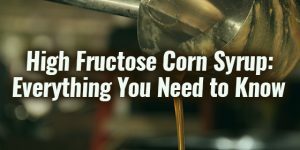 It stabilizes blood sugar, fights cancer, and kills harmful bacteria that may otherwise crowd out the health-promoting bacterial cultures within your gut. 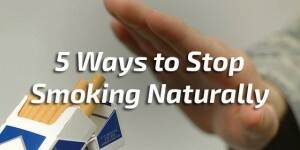 Some studies also suggest that it may play a key role in encouraging healthy weight loss. Yet another dairy product, buttermilk is the classic American probiotic. It is usually created by adding small amounts of lactic acid bacteria to dairy milk. In addition to its probiotic content, buttermilk is a great source of protein, calcium, potassium, and riboflavin. If you’re watching the amount of fat you consume, it is also available in fat-free or reduced fat versions, which offer all of the probiotic benefits with a fraction of the potentially dangerous saturated fat.